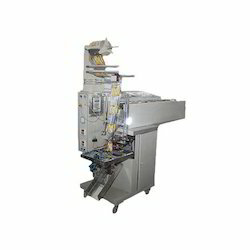 With years of experience in this domain, we manufacture and supply an excellent machine of Potato Chips Packing Machine. Our offered machine are manufactured from using superior quality components and advanced technology. While designing the offered range of packaging machine, we lay special emphasis on the overall quality and durability. 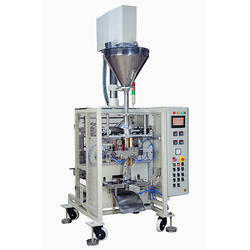 Additionally, our quality controllers keep an eye on these packaging machine to avoid any possibility of flaw. We are an eminent name, engaged in offering Collar Type Load Cell Combination Weigh Filler. By using skills of our experienced professionals, we are providing a comprehensive assortment of Potato Chips Packing Machine.Potato Chips Cutting Machine comes designed and developed using latest technology support for consistent work performance. Driven by technically advanced facilities at our ultra-modern manufacturing unit, we are presenting an extensive machine of Conveyor Type Packing Machine. Our provided packing machine is manufactured by our adroit professionals by making use of leading-edge technology and quality assured components in adherence with set universal norms. In order to cater maximum clients' gratifications, this packing machine is made accessible in diverse technical specifications. Pouch Length 2"-4" 4"-6" 6"-8" 8"-10" 10"-12" >12"
We are instrumental in providing our clients with a perfect quality Wafer Chips Packing Machine. 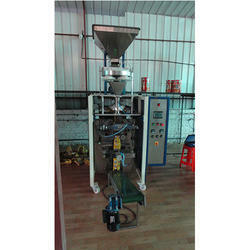 This chips packing machine is widely demanded and appreciated by our clients for its brilliant features. Our dexterous professionals manufacture this machine, using the finest quality components that are sourced from authentic vendors of the market.